Nuclear talks between Iran and P5+1 resumed today in Vienna. It appears that differing interpretations on the framework agreement reach in Lausanne earlier this month, especially the timing of sanctions relief, will be the main issue facing the negotiators. It was not clear if the day of the “implementation” of the deal is same as the day the agreement is signed, as Iran’s supreme leader had demanded. 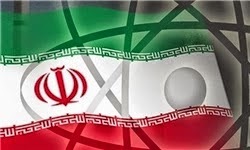 But the timing of sanctions relief seems to be Tehran’s main issue and the focus of this round of talks.